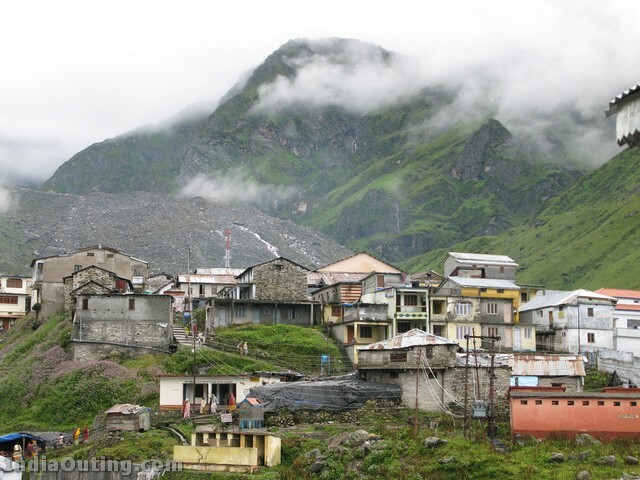 Kedarnath (Hindi: केदारनाथ) is a Hindu holy town located in the Indian state of Uttarakhand. It is a nagar panchayat in Rudraprayag district. The most remote of the four Char Dham sites, Kedarnath is located in the Himalayas, about 3584m above sea level near the head of river Mandakini, and is flanked by breathtaking snow-capped peaks. 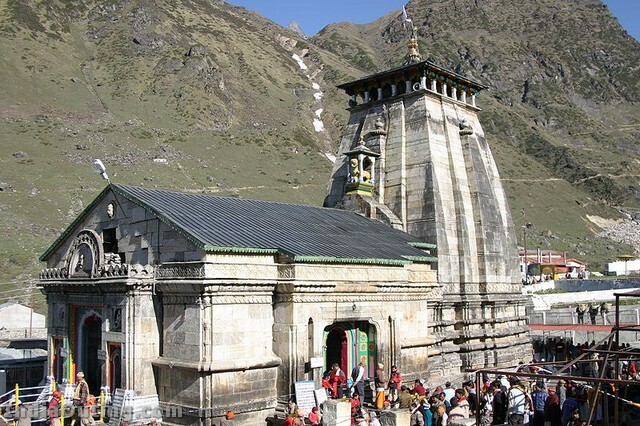 Kedarnath hosts one of the holiest Hindu temples, the Kedarnath Temple, and is a popular destination for Hindu pilgrims from all over the world, being one of the four major sites in India’s Char Dham pilgrimage. The actual temple is an impressive stone edifice of unknown date. According to the Puranas, the Pandava brothers did a major penance in Kedarnath to please Lord Shiva. As a matter of fact, as one enters the main temple, the first hall contains statues of the five Pandava brothers, Lord Krishna, Nandi, the vehicle of Shiva and Virabhadra, one of the greatest guards of Shiva. An unusual feature of the temple is the head of a man carved in the triangular stone fascia of the temple. Such a head is seen carved in another temple nearby, namely the temple constructed on the site of the marriage of Shiva and Parvati. No specific family of pujaris supervises rituals at Kedarnath, which focus around veneration of the stone lingam that rests in the inner sanctum of the temple. 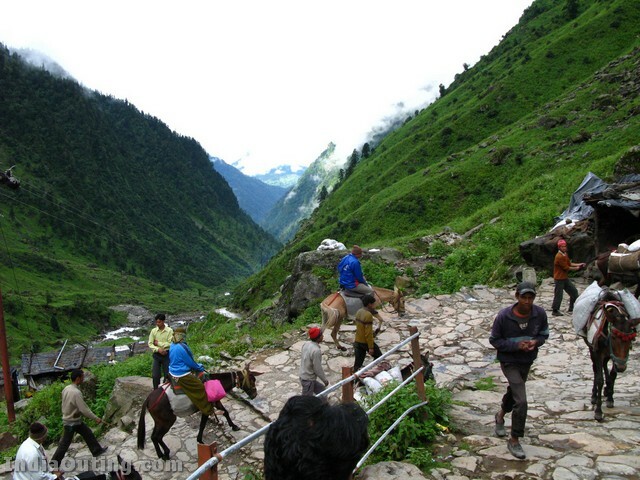 There are 2 ways to reach Kedarnath ,one is by-foot for a steep 14 km trek through a paved path (horses or palanquins are available for rent) from Gaurikund, which is connected by road from Rishikesh, Haridwar, Dehradun and other known hill stations of the Garhwal and Kumaon regions in Uttarakhand and the other way is through air travel. Recently government started the Pawan Hans Helicopter Service from Agastyamuni and Phata to Kedarnath. The fare is reasonable. The temple itself is quite an exquisite example of stone work. Houses the lingam, a symbol of the Hindu God Shiva. The temple is located among astonishing mountain landscape surrounded by peaks that are over 6000 m in elevation. Close to the shrine lies Adi Shankaracharya’s samadhi, where he is believed to have taken rest after establishing the four dhams at an early age of 32 years. At a visible distance from the shrine also lies an ancient Bhairav Temple, beyond which one comes out to green glades and tiny streams, fed by the surrounding (and approachable) glaciers. 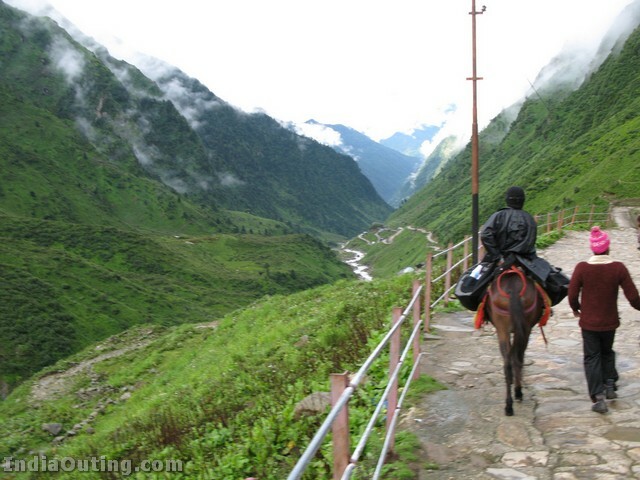 Treks leading out from Kedarnath are strenuous. If one arrives here early in the season, glaciers blocking these routes would be a common occurrence – and quite risky since one can never tell the thickness of the ice. Gandhi Sarovar (lake) -and the Chorabari Glacier that feeds the lake – lie the closest, at a distance of 3km, which makes for an hour of trek. Vasuki Tal – which is famous for its blue waters – is at 7km, and involves very difficult climb and crossing glaciers. It generally takes one 4-5 hours to reach there, so set out early. Puja and aarti at the temple if you are a Hindu. 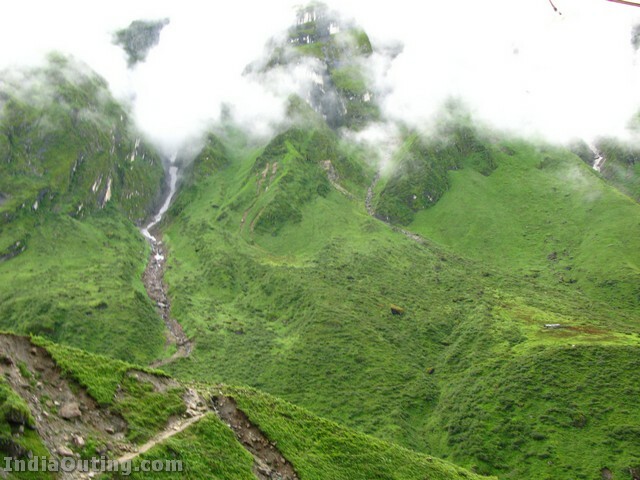 Treks to the adjacent valleys will take you through untouched forests and desolate paths. Some pilgrims even take a dip in the icy waters of Mandakini. 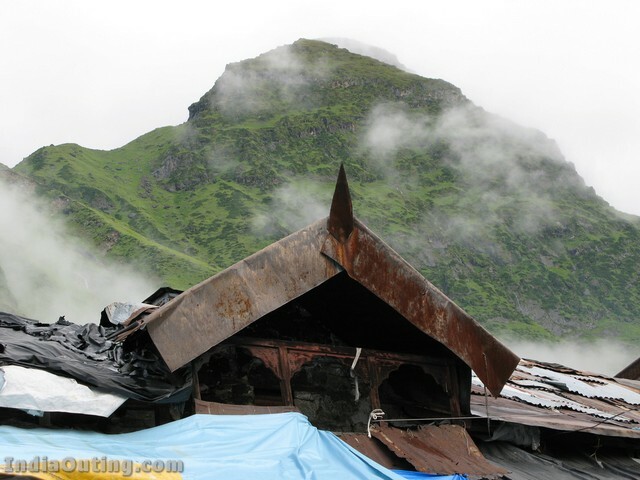 Many ashrams and dharamshalas provide cheap accommodation. There are also many private hotels and restaurants although most have only basic facilities. Also beware that Kedarnath can be extremely crowded during peak pilgrim season. The state-run guest house is generally booked throughout, so arrive early if you want options. Nice one. Hope to be there. this is good for Honeymoon,Surely you can go. Nice pictures with details. There is no mention of Adi Shankara’s samadhi which is near by. very nice.I would like to visit . so beautifull,feel like going to Kedarnath and leave everything behind forever. Hope to have my last destination of life. Thats really an awesome place to visit. thanks for char dham photo. excellant, i will visit such heaven place. its a nice place and eager to visit asap. DEAR ITS LIKE HEAVEN ON EARTH. THANKS TO SHOW ME SUCH NICE PICTUERS. Great !!! really interesting collection and information. Thanks a lot for the information.I was looking for this information. i have been there once…………………………..fantabulous place………………..
As gratwful decendants we must acknowledge the sagasity ,wiseness and foresight of our forefathers for choosing such lpaCES AS OUR PILIGRIMMAGE CENTRES. We must thank the contributor for giving us such beautiful sites which are inculcating thought to visit the places forthwith. The subject is thought provoking , and I have made my mind to visit Haridwar, Badarinath and Kedaranath soon in the next visit. Thanks to the contributor once again. Any one have any arrangements or plan to join this trip because going in groups is important & enjoying. Excellent,you have done a great job by enlightening people seing the site. thank u 4 these photoes.send these type of photoes again again. Splendid. Pl. receive my sincere appreciation. Requesting U to attmept many more holy places and share. Heartiest thanks to the contributor! I visited the holy Kedar Nath and prayed at the temple, even stayed overnight. The feeling I got was that I was in Kailasam, the abode of Lord Siva, with the mountain peaks peering closely at you & the cold chilly clouds drowning you on the precincts. It was awe-inspiring view of the snow clad peaks around the temple. A place one should visit in his life time, though a bit hard dueto the tedious travel route. IT IS JUST MIND BOGGING. ONE DAY I WILL SURELY BE THERE. Hai its a very good to see this type of natural beuty thanks for the details infomation about Lord Kedarnath. Realy heaven of the earth. Very few people are lucky to visit such an awesome place. GOOD PICTURES……..NICE AND USEFUL SITE . Wonderful. I felt as if Iwas in Kedardham. Please do put me on your email for such places photos and for going such places. Very nice spot worth seeing and enjoying. Every human being must see this scenic beauty and enjoy this. when shall we visit this place , mam? Perhaps, viewing it on the net is much better! Its also call “DEVBHOOMI” the place where gods are living. Bestest. Looking forward to visit. ENJOYED THE IMAGES. AMAZEING THAT PLACES LIKE THIS STILL ARE STILL OUT THERE. This is beyond any words to explain …………. This is so very beautifully photographed that when i was going through the pictures, i am feeling as if i am in the journey on those mountains and the hills ………….. and got so much engrossed in that ……… ohhhhhhhhhhh its very very fascinating and its a pilgrimage place and certainly people would go after marriage for the Holy Darshan ………………… Its a place to be visited by anyone and everyone …….. I would like to visit . thanx alot for virtual view of Shri Kedarnath Bhagwan. Wonderful photos. I live near the mountains myself, only at the other side of the world, in germany. I suppose the big different is that our mountains are crowded with people summer as wintertime. So it is very difficult to find a peaceful moment there. Myself and my wife went to Kedarnath and Badrinath about four or five years back in September. 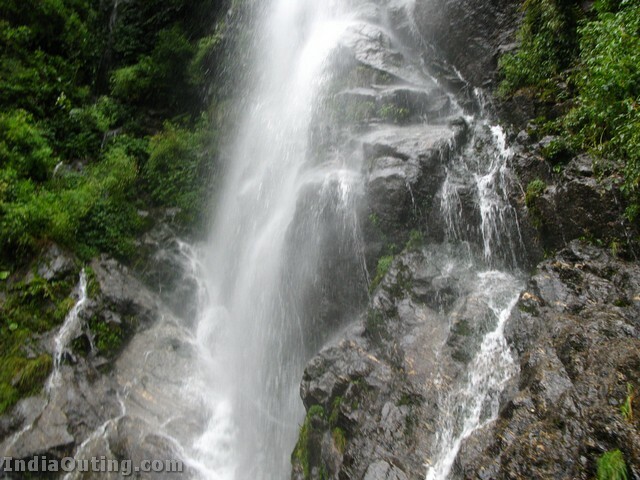 People who are interested can contact the Uttaranchal Tourism in their cities or directly see on the internet. They will pick up from Delhi and bring back to Delhi after ten to fifteen days if you want to do Two Dhams. They even have Char Dhams trips also.It is very convenient and reasonable cost. They put you in their beautiful cottages enroute and they give an Ambassador or an Indica. It will be better to get four people as you get a car for you and your others three people and enjoy. Badrinath is as beautiful as Kedarnath. 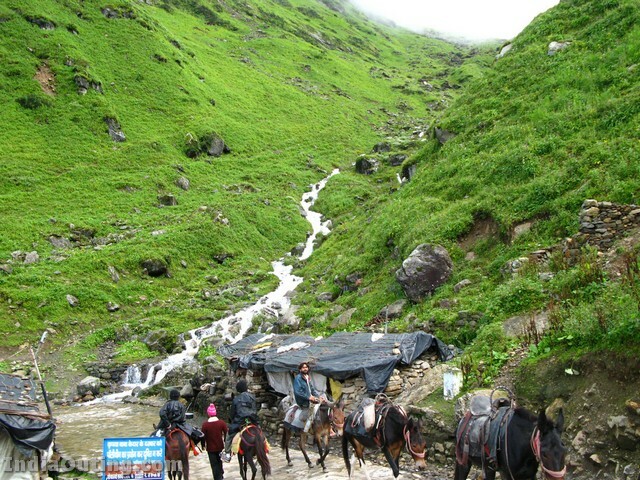 Here there is no walking or trekking from Gaurikund. Badrinath is very well connected by Road and you are taken at the door of the temple. 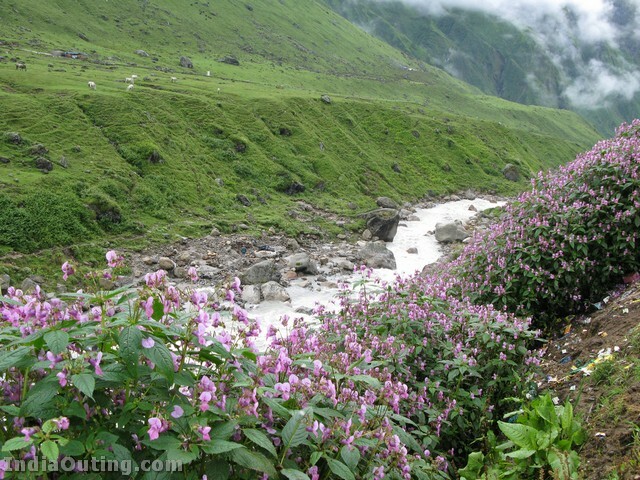 From there Valley of Flowers is also near but you cannot combine as Valley of Flowers time is different. You can do both of them provide you are young and strong for both the trips. 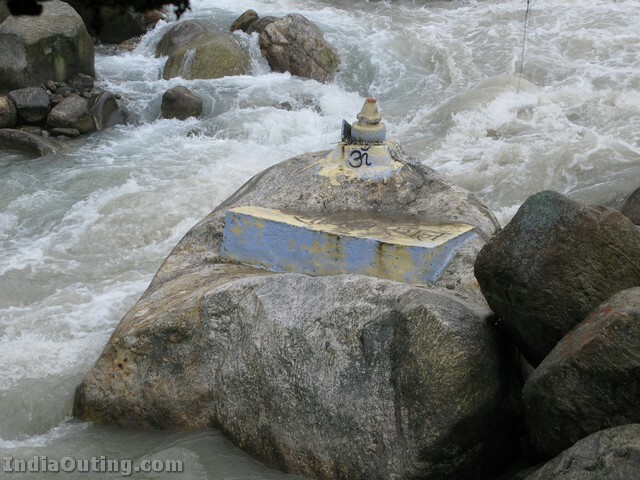 There is another offshoot from Badrinath is to visit the Hemsahib Kund which is very sacred to Sikhs. The height of this Khund is more than Badrinath or Kedarnath. Recently we had been to Amarnath and Vaisanodevi Yatra, a few weeks ago. You have to do trekking for about 50 kms up and down or you can go round trip. come back by the same route or go to Baltal and then Sonmarag and to Srinagar. 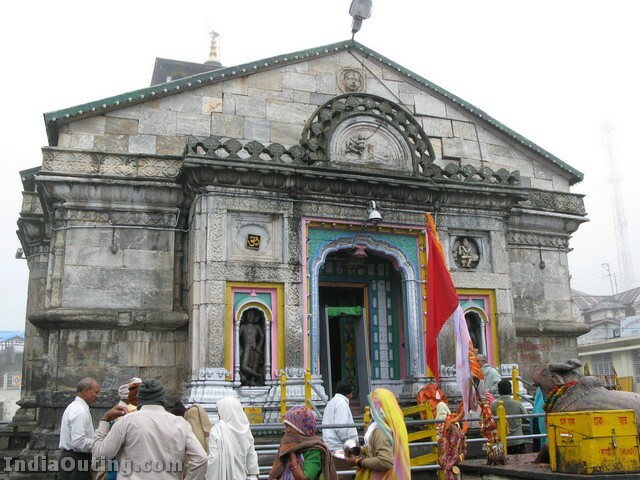 From Srinagar you can come down to Katra about 40 Kms before Jammu and see Vaishanovi Devi Temple. Here the Amarnath height you have to climb upto 14500 feet and Vaishanovdevi is around 7000 ft height. It is just 14 Kms trek on Vaishanodevi Hill and it is very easy as it is paved and lot of shops are there. At some places you can go by Steps or go on the road which is a bit longer. Amaranth it is 6500 for one side or both , you will have to check. If any one wants information ,please let me know. P C Rao, (pcrao10@gmail.com) Pune 020-2585 1784. Though I visited The Shrine It was very hurridly concluded. The pictures shown in the mail remained me of the visit. Thanks. Very educative and informative. Please put some more photos of beautifull kedardham,and the starting point Hunuman chatti. Breathtaking pictures, coupledwith a nice illustration makes it a wonderful reading . It makes me feel as if i have gone to Kedarnath and experienced the beauty of nature and darshan of lord . Thanks for the exhilarating experience. Are these from this world? A land of gods, pardise, unbelievible, Hope! will remain like. Wish I could be there 1 day. Thanks for send me this really nice pictures. these shrines are exhilerating and soothing for troubled souls. they are truly abodes of God. pictures are excellent and tempting. Returned yesterday after Darshan of the holiest Shivlinga.The nature is at it’s best enroute.Why visit Europe when we have such places in India?Those who can not walk the distance or ride can go by Chopper(Rs 7000-to&fro). I would have missed something in life had I not gone. If you tru hindu and believe in god you must have to visit KEDARNATH,by trek. If god give me order i want to go second time. i have visited Shri kedarnath temple three times. i also tried to search sanjeevni booti at hills around kedarnath but failed. i also visited vasuki taal, bhim sarover and chorwadi taal in search of sanjeevani booti but all went useless. i had been once to kedarnath. It is heaven on earth. I Stayed one night there it was very chilled there because at every there heavy rainfall with lot of ice. when i wake up in morning it was such a pleasant view that it cannot be described in words. awesome place to visit its so mesmerizing. These pictures are fabulous – when were they taken? This place is so magnificant and spiritually enspiring; it is a place close to my heart and I am planning to go in June 2010. But I have yet to find someone to go with so I may have to wait a while yet to go. Great post thank you for the pictures I am ever more determined to visit Shiva in this, his most beautiful place. love to be there forever. 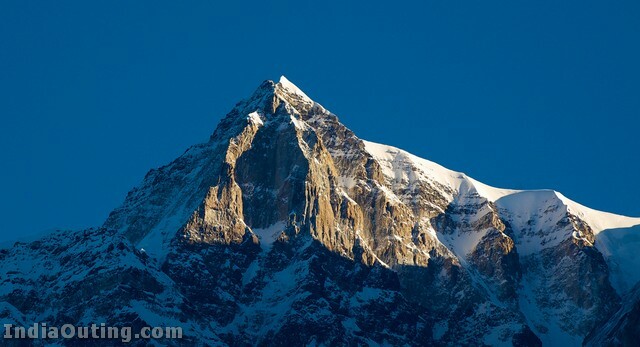 Himalayan grandeur at its best. The posting is inspiring and pleasing. Har har Maha dev. Bum bum bhole nath. This is very useful information and illustration for me. I had visited KEDARNATH two times.I was feeling that i was in heaven.One time i stay overnight. I like to stay there overnight then visit for few hours. Very beautiful,feel like going to Kedarnath and leave everything behind forever. Go there in the early age…will enjoy more rather than visit in old age… awesome natural beauty.. Very Nice ! Wishes to travel ! we visited char dham through panicke travels from Delhi. We jsut commenced on the first day of pekseason. we encounterd very very heavy traffic jam. in fact, bus halted abut 3 kms.away form near by hotel. we had to trek distance to our hotel. and again 14 kms. to Kedarnath. very strenuous one, weather very cold. (May 16). So, if u r quite strong and can withstand some inconvenience/disffiulties, pl. visit the same. Thanks for the photo dear. Surely this place is a HEAVEN ON EARTH. No doubt. I pray God to take me at least in my next birth as am not able to go now due to advanced age of 77 yrs. I have visited all 4 dhams in 1985. after seeing these pictures, i am able to remember those locations and sceneries. it is really beautiful. Bholenathse yahi prathana hai charo dham ke darshan ho jaye !!! we took a round trip on rail originating from Hyderabad in Sep 2003,went to Vijayavada, Puri,Kolkata,Gaya,Alahabad,VaranasiDelhi,Badrinath, Kedarnath, Agra,Matrugaya,Mumbai and back. we saw 9/11 in TV at Gaya, could not believe it, we had gone to 110th floor to have a birds eye view of New york in 2000. We took pony from Gowrikund, three of us, my poni was Kalavati. Half way it had to take rest since next lap was very steep. I asked poniwala where upto we had to go, literally he showed the sky! Reaching the temple was wonderful experience. we decided to climb down by foot-pony jumps step by step, our back bone is made to bend backwards. we saw many going to hospital with injuries,ponies going up do not get sufficient space as those coming down are very afraid of the precipice.Unforgettable lifetime experience. The photos of the temple and surrounding areas are really good. If you publish the photos of various famous temples in India , it will be beneficial to the people who can not visit them in person. Kedarnath temple photos are really good. Please publish other temple photos also & it will be beneficial for people who can not visit them in person. For Kedarnatha we can walk,or drive horses or through Doli WE hear a unique sound of the flow of the sacred river,I took three rounds of Kedarnath temple of Lord Shiva. I was surprized to watch a big Pothia near the temple.I will finish other two pilgrimmages if possible Many tours are avaiable from Ahmedabad or Bombay in India. excellent pictures.wish I can visit one day,if not this birth may be in next birth ,as we are both past 75 years. Simply there are no words to express the beauty and the tranquility that makes you one with GOD. You do not feel like returning. Must VISIT place, preferably in your younger age. Nay! I was flabbergasted to see very old ladies making it with such a religious fervour! Dear friends ….As we know life is only once…..So If you are having an opportunity don’t miss to travel these kind of holy places..
Char dham yatra is a very hart but attractive journey.The facility is incrasing year by year, if you are younger then you have to weight for certain year for smooth gerney.Shree KEDARNATH is one of four dham, avery beautyful and holy place.Char dham yatra should be avoid who is heart pationt. OM MAHADEV HAR……OM NAMAH SHIVAY. nice ……………heaven on the earth is there and i hope(pray god) to give me the chance to see this heaven…….. It is very marvellous and beautiful place in our India. I can’t belive that it is situated in India. what a great our indian nature. what a holy place and now we have to mean that in this world someone is there to manage this world and he is a god. The beauty is in nature.God has given eyes to see it and study its glory. 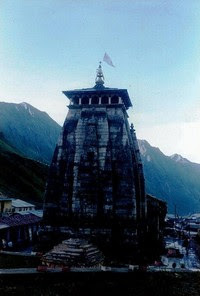 The Kedarnath Temple is dedicated to Lord Shiva. The head of the bull is in Nepal Pashupati Temple. The body is in Kedarnath Temple. This place is awesome.i wish god take me to this place, that is very lucky for me if it does. Every Hindu must do the Char Dham at least once in their lifetime.Doing their prayers in this place.These places are highly energized. I have visited Badrinath and Kedarnath and I could feel the energy within me. Wonderful spot to visit.Very scenic. An excellant view of the HOLY Shrine.I had no chance to visit this holy place yet.May be some time later.There is a time when every thing to happen. At least make the young generation to know about our heritage and the great people who have taught us about our history and heritage.Feel proud that you are born in this holy land. A beautiful pictures and a very informative article.The beauty of mountain and senaries and rustic life photos are marvelous. magic of god… god is always gr8…….. Thanks alot. It is very helpful. VISITED MAY1986, ALL FOUR DHAMS.IT WAS THILLING. 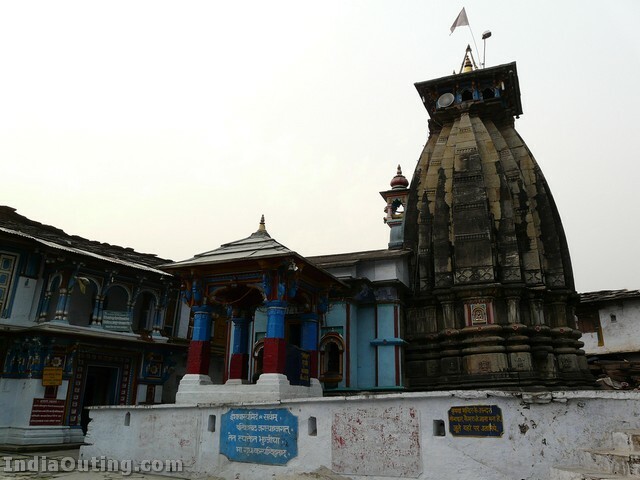 Shivhar Shankar Namami Shankar Shambho Shivshankar, He Girjapati Bhawani Shankar Shivshankar Shambho, Shambho Shankara HarHar Mahadev, Om Namo Shivay Shambho……………..
Beautiful temple and sacred place. beautiful place, god created earth so beautiful and god have his wonderful power i.e. wisdom to all human beings, his talents works to built such a beautiful and sacred place. I will advice all young people to have dharshan of Lord Siva at this place. Once if you have the dharshan, you will feel the divine power. Nothing, except that supreme power, in this universe is permanent. I am confident only the blessed people will come acorss these types of information. In those days ever thing was passed through news paper and voral. Now it is fortunate to have the information readily available at proximity. HAVE DHARSHAN OF LORD SIVA AND BE BLESSED. I went there on pilgrimage in 1992.I took ride on Dolly for going to Kedarnatha temple.We are fortunte to visit this place.This is life long pilgrimage to Char Dham Yatra. There is good availability of Prists to peerfom rituals.I am satisfied with this travel and I recommend to every hindu to go to this place. There are twelvesuch Places.I wrote a book on Twelve Jyotiralingas. Awe some pictures. The abode of God is serene and I wish I should go there to worship HIM. MAY HE BLESS ALL. ALL indians should visit KEDARNATH & BADRINATH just for enjoying the himalaya scenic beauty if not the holy shrines. One gets a life time experience and enjoyment. one should not miss it. I had the experience in 2003. I have visited Badri Nath in 2010 with my wife. May be one of these days I get to finish visiting all four places. My residence being in USA it gets to be a logistical challenge for me.Nice pictures. Thank You for shring them. 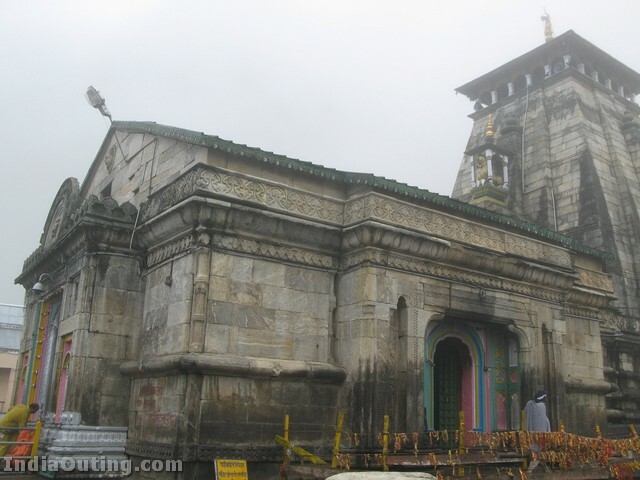 Good photos and very informative article about Kedarnath temple. Very good pictures.Thanks for sharing. Great Journey to the Almighty. very worthy pictures.thanking u a lot. god bless u.